Outrage mounted to a fever-pitch Wednesday as conservatives voiced opposition to a new bill proposed in the Virginia legislature that would've allowed abortions up to 40 weeks of pregnancy and permit abortions outside of a hospital during the second trimester. Tran explained to him that the bill, Virginia House Bill 2491 known as the Repeal Act, would eliminate current restrictions on late-term abortions and allow abortions up until 40 weeks. “Through the third trimester. The third trimester goes all the way up to forty weeks ... I don't think we have a limit in the bill,” she responds pointedly. The bill will not move forward out of the subcommittee, Gilbert told Live Action. The video, which has been making the rounds on social media, drew swift condemnation from conservatives such as Former United Nations Ambassador Nikki Haley. “What is happening in our country. This literally makes me sick to my stomach.... #AdoptionIsAlwaysAnOption,” she tweeted Tuesday with a clip of the exchange between Tran and Gilbert. “If you are pro-choice and this shocks you, you need to know that Roe v. Wade and its companion decision Doe v. Bolton make this kind of atrocity into a constitutional right,” he noted on Twitter. In addition to allowing abortions up until 40 weeks, The Repeal Act would have eliminated all the procedures and processes, such as the performance of an ultrasound, required to effect a woman's informed written consent to the performance of an abortion. Informed written consent, however, would still be required for an abortion. The bill also wouldn't have required more than one physician to certify that a third trimester abortion is necessary to prevent a woman's death or impairment of her mental or physical health. When asked if he supported the measure, in a WTOP interview Wednesday morning, Virginia’s Democrat Governor Ralph Northam defended it. “I certainly can’t speak for delegate Tran but I would tell you, this is why decisions such as this should be made by providers, physicians and the mothers and fathers that are involved. 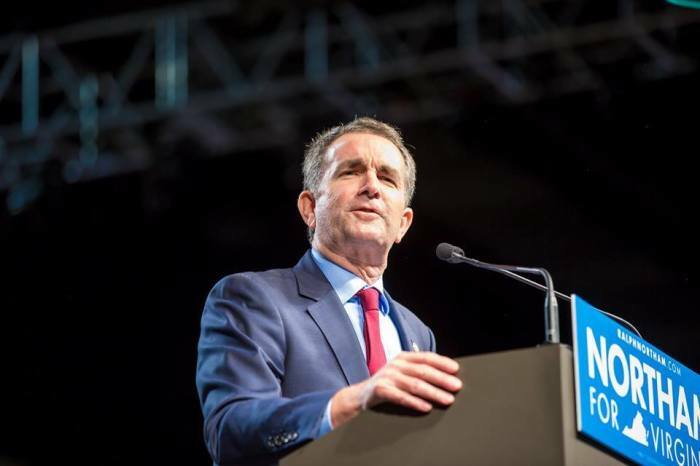 When we talk about third trimester abortions, these are done with the consent of the mother, obviously, with the consent of the physician, more than one physician by the way,” Northam said. New York Times columnist Ross Douthat noted studies on Wednesday, however, showing that most third-trimester abortions are not performed due to threats to the health of the mother or unborn child. “Worth noting while watching the ‘moderate’ governor of Virginia using his reassuring voice to discuss letting born-alive infants die comfortably that most third-trimester abortions are not performed for reasons of fetal or maternal health,” he tweeted, and linked to a 2013 report by Guttmacher Institute. “This is nothing short of horrifying, a shock to any functioning conscience. My oldest son was born at 28 weeks, fighting for life and with severe health issues, in a Russian village. I thank God every day his birthmother did not share the ghoulish view of his worth and dignity that we are hearing today,” he wrote in a series of tweets. Sen. Ben Sasse, R-Neb., who sponsored the Born Alive Infants Protection Act, had a similar response in comments to National Review. Virginia’s abortion bill comes in the wake of the New York state Legislature passing a bill last Tuesday that made it legal for abortionists and other health care professionals to perform abortions up to birth for any reason.